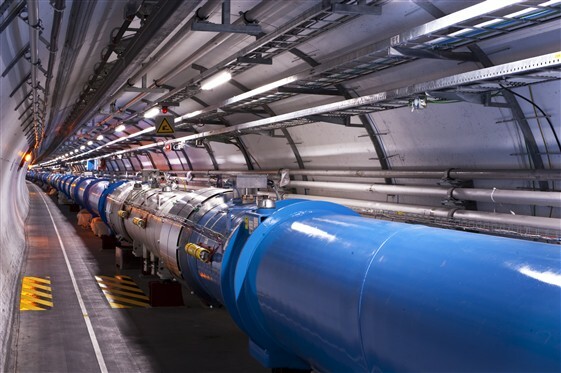 SWITZERLAND – The Large Hadron Collider (LHC) at CERN’s facility is busy smashing the protons in search of God particle has released record breaking energies of 13 TeV for the first time. The world’s largest atom collider woke-up from sleep after two years back in April and is now running up on its full potential. The key part of process was to set-up the collimators, which is a system that protect the 9600 magnets of machine and detectors from particles that stray from the edges of the beam. These devices which absorb stray particles were adjusted in colliding-beam conditions. The set-up will ensure the protection of magnets and detectors of LHC when accelerator team will put the machine to real test in quest of obtaining the data they want. As of now the Colliding beams will stay in the LHC for several hours. The LHC Operations team will continue to monitor beam quality and optimization of the set-up. Set-up of collimators will allow the experimental teams running the detectors ALICE, ATLAS, CMS, LHCb, LHCf, MOEDAL and TOTEM to switch on their experiments fully. The data taking is planned in the second run of LHC scheduled for early June. The collisions could produce even higher energies that are still unknown to physicists. The particle crashes will reveal unknown facts about the Universe formation and its early stages and physicists are pretty excited about new discoveries yet to be made in LHC experiments.